Find the Moonstones Remember the other day I mentioned that the girls needed to earn their wings, wands and pixie dust at the beginning of the party? 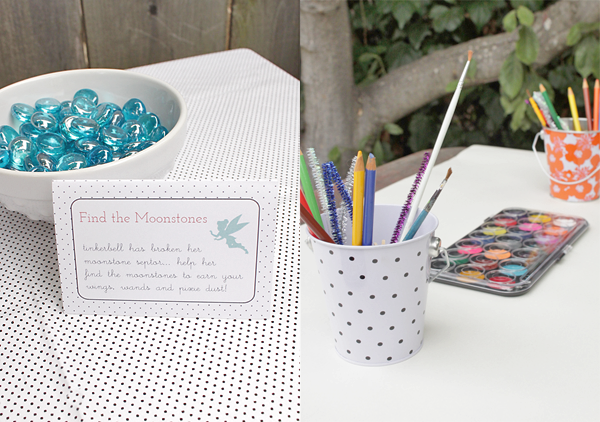 For our first activity we had a scavenger hunt for moonstones. (if you don't know how this relates to fairies, I'm afraid you'll have to watch Tinkerbell and the Lost Treasure to find out). 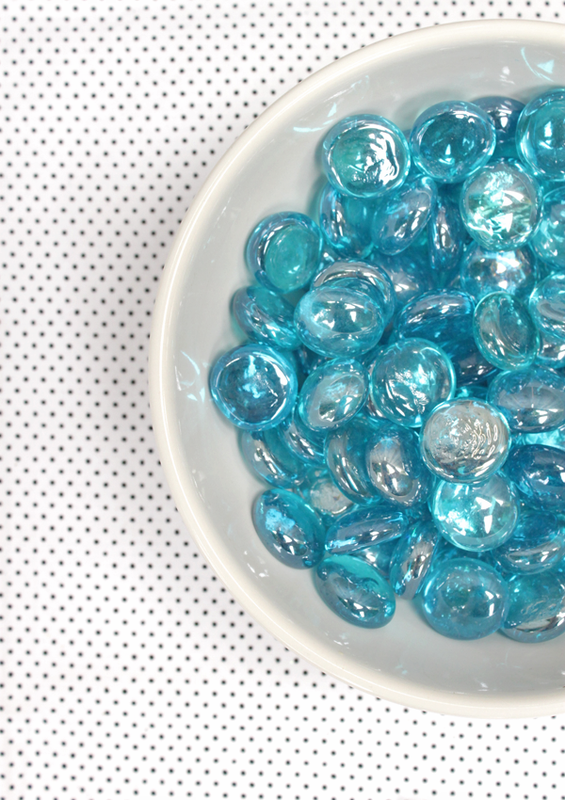 Our moonstones were just glass decorative rocks from the craft store that came in a bag of about 100. We hid them everywhere in the yard... I mean, everywhere... and let the girls loose with little cups to collect them. We didn't want to have a single winner, so as soon as each girl brought back her filled cup they were able to collect their fairy gear. Less stress and more fun. Watercolor Butterflies After the running around, we brought the energy down with an art project. I made these at camp when I was a kid and it's fun for any age, but smaller hands will need a bit of extra help. See below for the tutorial on how to make them yourself! 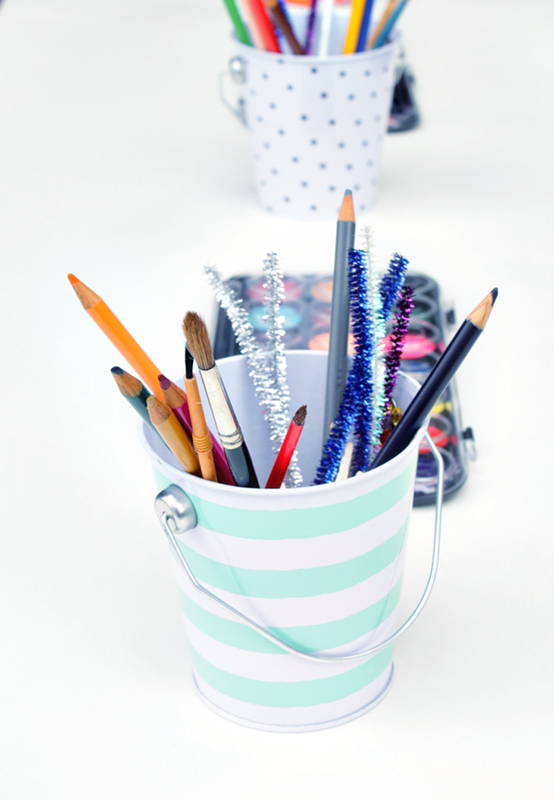 I also had Tinkerbell coloring pages and extra markers on hand so that the girls who finished their projects quickly could stay at the table and have something to do. We hung their projects to display from a length of twine in the backyard, which also helped everything dry before it was time to go home. Dress Up Not exactly groundbreaking, right? After everyone finished their art project it was time for cake. 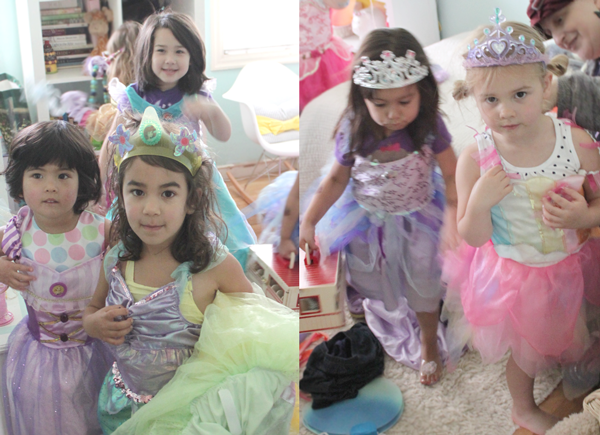 Then, for the last half hour of the party, we sent the girls up to Caitlin's room to play dress up. 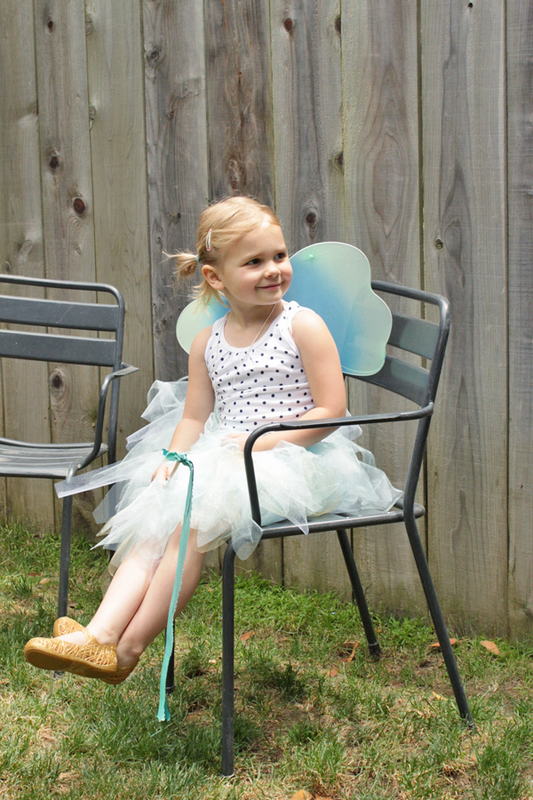 A sweet friend gave us a load of hand me down fairy + princess costumes, so we simply laid it all out on the bed and let them go wild changing out dresses, necklaces, shoes and gloves. It turned into a bit of a parade and catwalk as each girl came downstairs to show off her beautiful outfit, take pictures with the parental paparazzi and then run back upstairs to change again. So very cute to watch. Now I suppose it's time for me to start planning Caitlin's 5th birthday... it's going to be here before we know it! 1. Open the coffee filter so it lies flat on the table and fold in half. Dip your brush in watercolors and then water. Use the same color patterns on the left and right sides of your filter. These will be come the butterfly wings. 2. When you're done painting, pinch the center of the filter and bring the top and bottom sections down to meet in the middle. Clasp with a clothespin. This will be your butterfly body. 3. 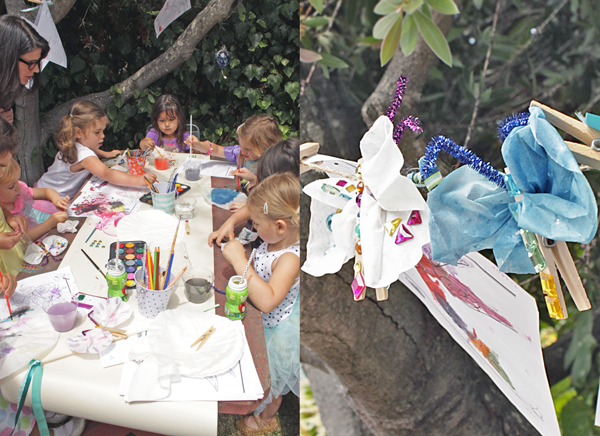 Fluff out the wings and decorate the body with markers, glitter pens etc. Add google eyes if desired. 4. Cut a pipe cleaner in 2 and fold half in the middle. 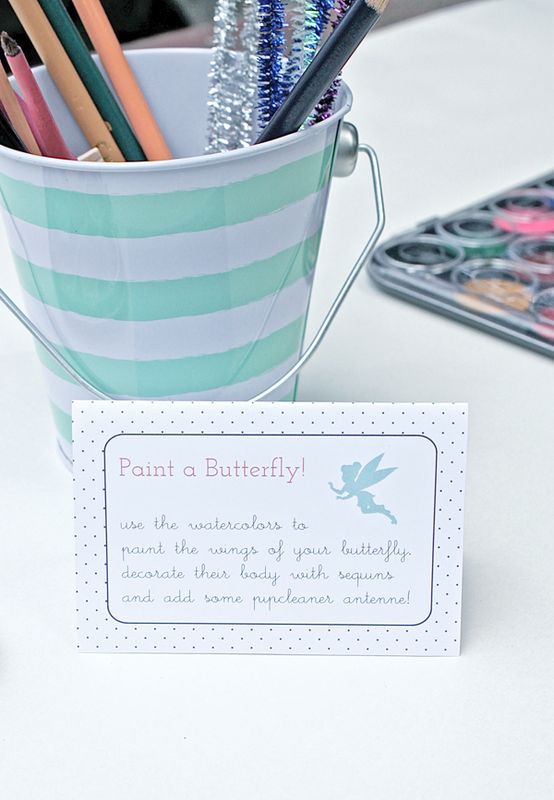 Stick in the top of your clothespin for your butterfly antennae. Images are for personal use only. If sharing them on your site, please link directly to this post. // Invitations available via Etsy.